Guys, it's time for "the most wonderful time of the year" (Kevin Savetz in ANTIC) again! This year's BASIC Tenliners Contest is starting now! Get all items north across the river in your boat, which only fits 1 item at a time. Just entering any one of these lines guarantees a crash for me. Any hints on avoiding this? I'm not aware of a bug list for TBXL, might be worth a look around for one. 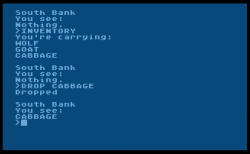 The old Atari Basic move bug would manifest during program entry as well. A workaround is to change the order a bit or make the line different so as to not use the same amount of memory. Use built-in constants (%0-%3) for 0-3. This is quite annoying indeed. I suppose the tokenizer goes awry with too many bytes in line. Using %0 -- %3 in place of 0 - 3 helps a lot. For higher integers you can try using hex (10 A=$4), it takes more bytes though. The reason why it works better is "%1" takes much less bytes than "1" in a tokenized line. Too bad it takes more characters than just "1", so it is not good for "PUR" categories. Unfortunately length is limited by characters entered rather than tokenized lines so the %1 saving doesn't help but means an extra character. Yes, but it helps when TBXL generates broken lines - this is obviously a bug in TBXL. Anyway, dmsc tool is the answer to this problem. Edited by pirx, Tue Jan 19, 2016 3:18 AM. Could it be that new ideas are becoming harder to come by? oops - from Yahoo to software at abbuc . de - I've just forwarded it on to you! I've just sent "Fleas! ", a small game for Atari XL/XE written in TurboBASIC XL as an entry for the PUR-120 category. Now I got it :-). The abbuc adress leads to Sascha. In previous years, people submitted their entries on this thread, now it seems less open, emailing them instead. C'mon people, show your entries! I'm writing something but it may be done before by someone else. What are the links to previous competitions? Also, I forgot how to make a .atr rom. Can someone post directions on how to do that with Atari800WinPlus? Do you want to program in Turbo BASIC XL or in ATARI BASIC? You can also use it if you want to program in ATARI BASIC. Then you only have to mount it and make a cold boot (Cold Reset). If you want to use Turbo, you have to go to DOS with typing in "DOS" in the editor and then pressing "L" and entering "TURBOBAS.COM". I'm programming using Turbo Basic. Don't I have to save my program to the "computer" first? 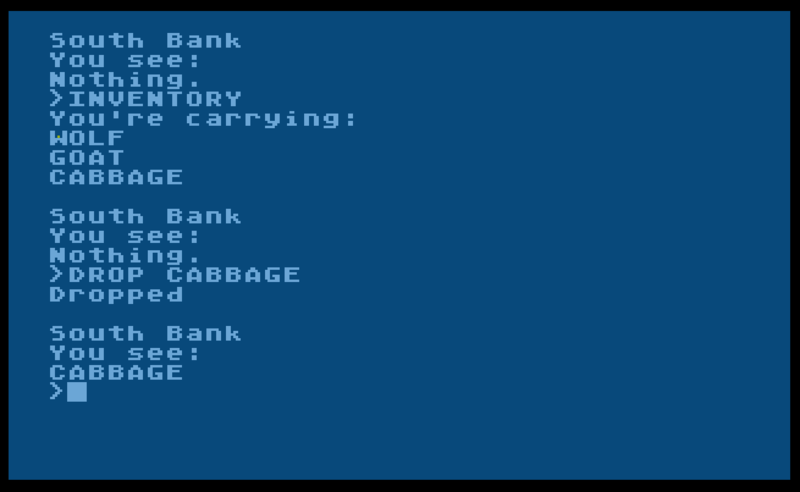 If you are using TurboBASIC XL, you are already using an ATR image in the emulator. You can SAVE (or LIST) your program to that disk, or you can do it over a new disk. In ATARI80WinPLus you can "create" a new disk using the the Drive Selection popup. Activate it using Alt-D, then create a Single Density disk, naming it as the ATR you want. Then you have to mount it as drive D2: and format it using DOS from the same disk you've already booted. I agree... The screenshots already published by Bunsen is enougth to give an idea of them. The rest should be a surprise!!! I disagree — I think positing code now can inspire and/or teach others before the end of the contest, encouraging other programmers to do more and better entries. You do what you want; I'm going to publicly post my programs and programming notes as I submit them. Yup. Posting the code is a good idea. Does anyone have the complete version of this Youtuber's BASIC listing?